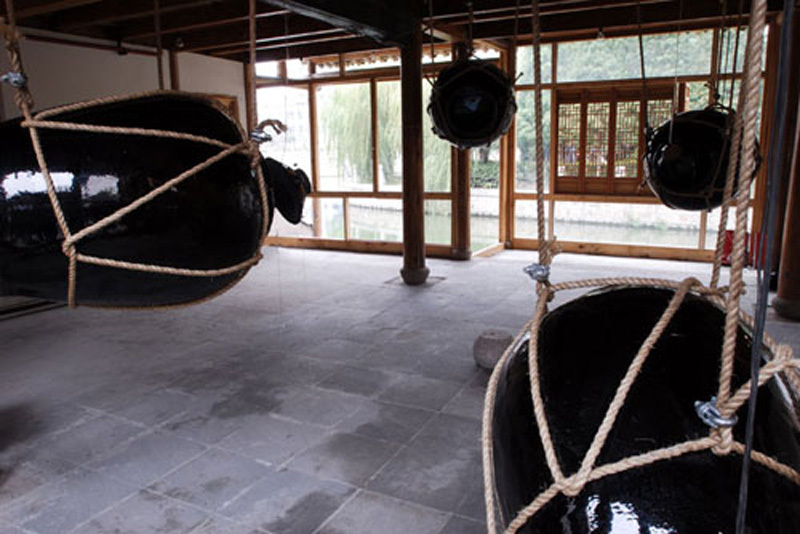 « Four old-fashioned Chinese stoneware wine jars – with their typical brown glaze and bulky form – hang suspended from the roof beams of a lofty room, which itself has the appearance of a traditional Jiangnan building. 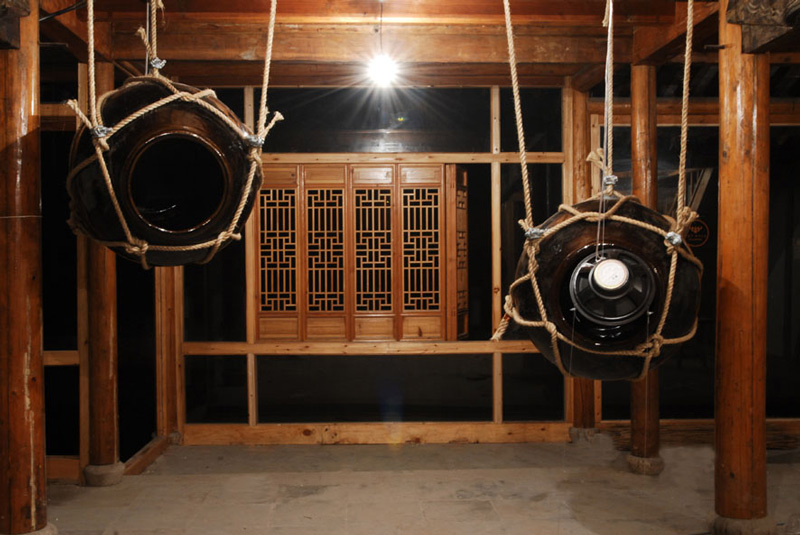 The jars are held by strong ropes and contain LCD monitors, showing videos. 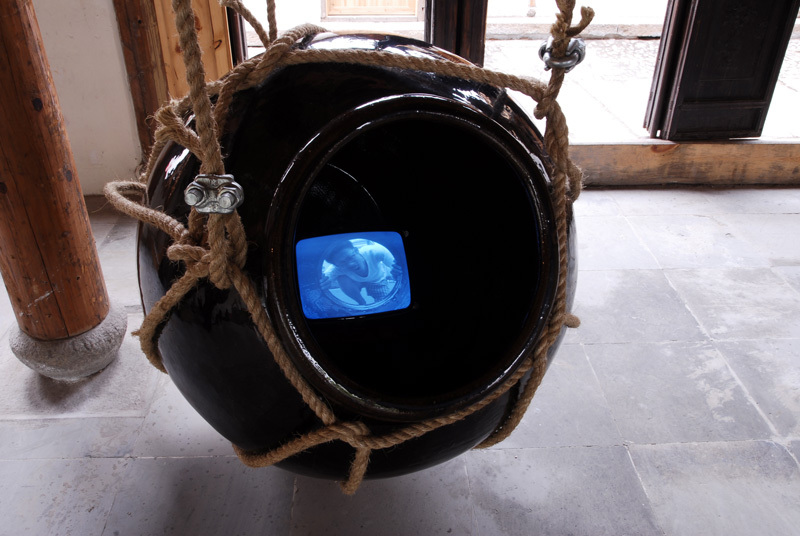 The installation was created for the sixth Shanghai Biennial in 2006 and first on display in the new A Yellow Box in Qingpu: Contemporary Art and Architecture in a Chinese Space. The Yellow Box, is a project by the Visual Culture Research Centre of China Academy of Art. 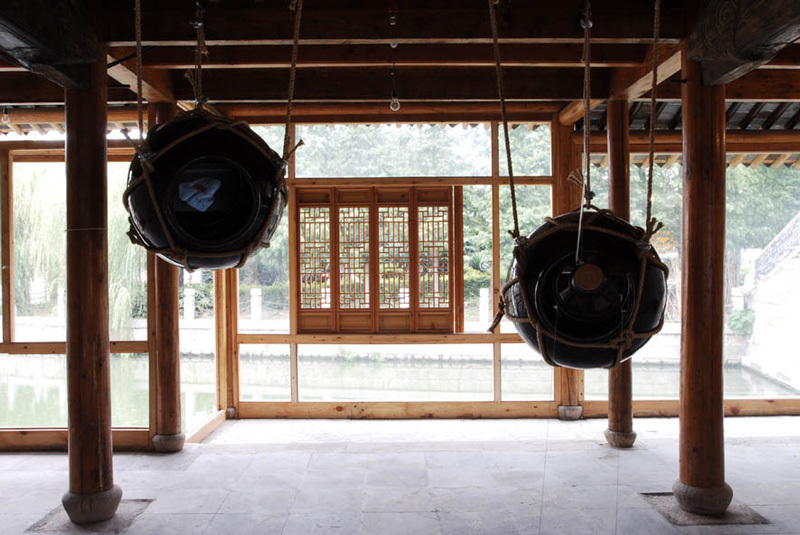 A compound built in the traditional building style of Jiangnan, was erected in the outskirts of Shanghai with the objective to investigate the position of contemporary art and connoisseurship in relation to the “white cube” model of exhibition. For centuries, the wealthy cities of Jiangnan, the area around the delta of the Changjiang [i.e. Yangtsekiang]-river, were famous for being home to artists and cultivated collectors and connoisseurs of art. Today, the China Academy of Art in Hangzhou is an important centre of digital and media art. There, professors and students and independent artist – aware of their regional heritage – form a scene that is different from dominant Beijing. Like the art scenes around Guangzhou/ Shenzhen/ Yangjiang in the south or Chengdu/Chongqing in the west, they did their part to dissolve the monolithic appearance of a capital centred contemporary Chinese art. Gao Shiqiang is one of these professors. Teaching in the experimental arts department, he emerged out of a group of students around acclaimed “media guru” Gao Shiming. 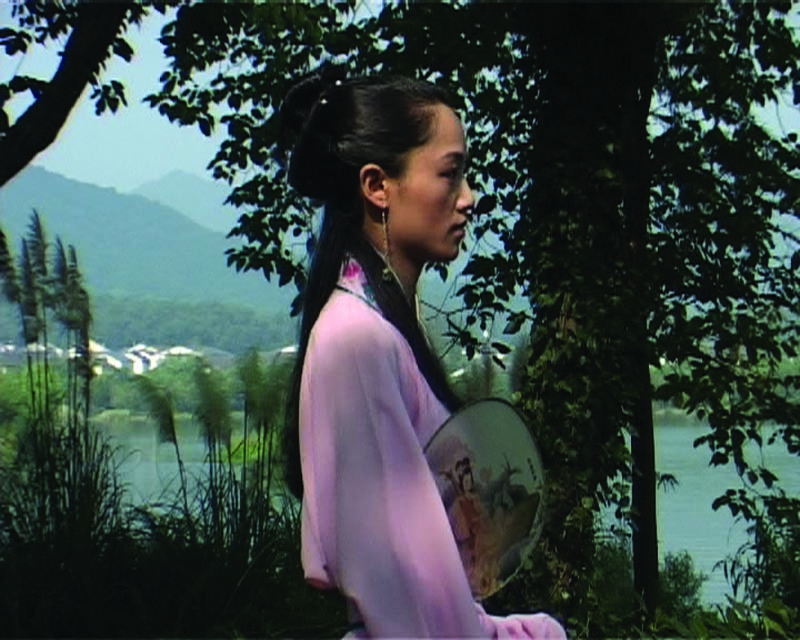 Being very much involved in a border-area between video art and filmmaking, he was one of the initiators of the amusing project Wink: 2 seconds ultra-short video art, that invited artists to create films of a length of two seconds as well as he was one of the founders of the Hangzhou Short Film Movement. Gao Shiqiang says of his work: “Story is the way we transform ourselves and how history is left to tell the story. When we tell our story, we temporarily leave our daily life. It is through this work that I have dissociated myself from my daily life as well as my history. As a result, I can examine the past and explore the relationship between past and present, Eros and Death, being and nothing.” . http://www.asi See Chinese New Media Installation on Display in New York, URL: anfortunenews.com/site/article_0507.php?article_id=25 [Access 06.09.2007].